Ben Stiller was not present at CinemaCon 2015, but he did tease details on the upcoming “Zoolander 2” for the National Association of Theatre Owners conference attendees. 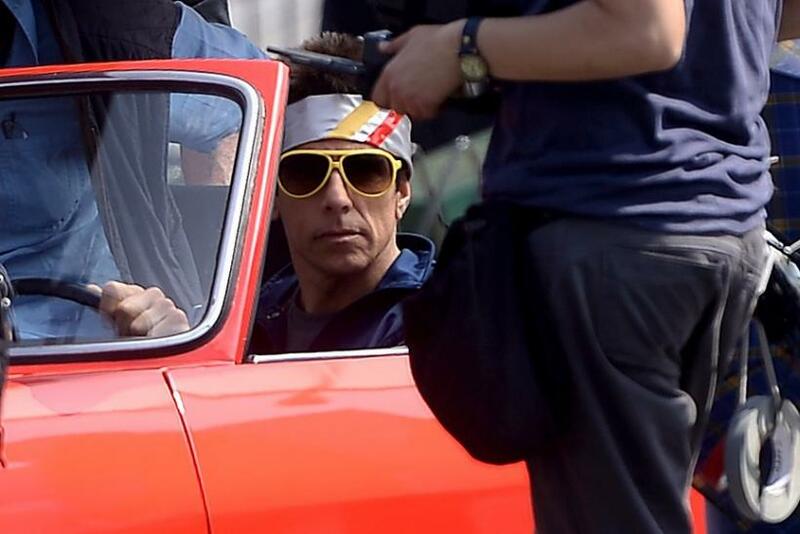 As part of Paramount Pictures’ lineup presentation at Caesars Palace in Las Vegas Tuesday, Stiller embodied his “Zoolander” character Derek Zoolander to dish about the highly-anticipated feature. “You probably remember the documentary they made about me,” Stiller, 49, said in a pre-recorded video shown to audience members. The actor, who never broke character in the clip, informed audiences the sequel will catch up with him and 15 years down the line and will reveal big changes in his life such as the foods he’s “stopped eating” and the clothes he’s been wearing. “It’s going to blow the multi right off your plexes,” Stiller told the audience of theater owners. Stiller shared the film — which he said will “drop like a giant bomb,” in the best way, of course — will also “bring back all of your favorites” such as Owen Wilson and Will Ferrell. Newcomers Kristen Wiig, Penelope Cruz and Billy Zane will also star. Prior to the premiere of Stiller’s clip, Paramount Pictures Vice Chairman Rob Moore reminded fans of the “Zoolander 2” announcement, showing Stiller and Wilson’s viral video stunt at Paris Fashion Week in March. “If the reaction to this is any indication,” Moore said, teasing the success of the second "Zoolander" installment. “Zoolander” premiered in 2001 and followed the tale of Derek Zoolander, a model on the tail end of his fashion career. The feature grossed just over $60 million at the worldwide box office. “Zoolander 2” premieres February 2, 2016.